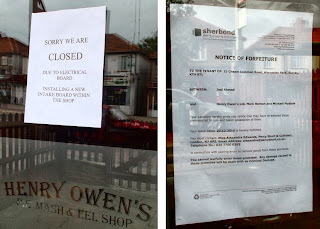 It’s sad to see another local(ish) independent shop go the way of the dodo. Henry Owen’s Pie, Mash and Eel shop has closed its doors after just three short years in their North Cheam shop. When they first closed over a week ago, a sign in the window suggested this was temporary due to an electrical problem. However the message on their answer-phone at the time was much bleaker and suggested permanent closure. 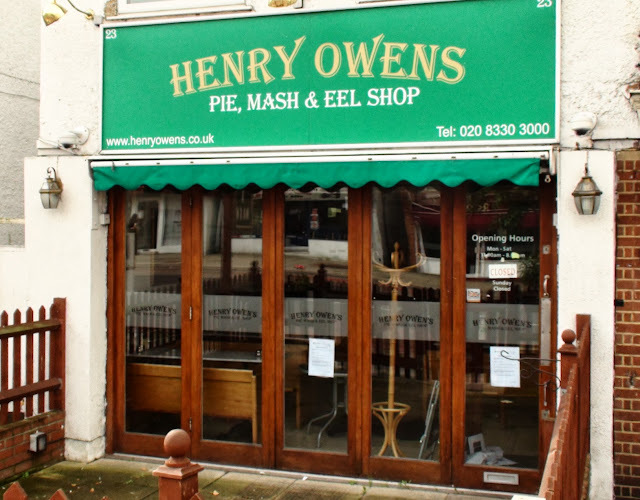 Now, a week later there is unfortunately a note of forfeiture in the window meaning there is no further hope of any pie, mash or eel of the Henry Owen’s, North Cheam variety. Their phone number is now unrecognised. The blog would like to offer commiserations to Mick and Mark and wishes them luck in whatever they choose for their next venture. Can You Help The Police?